A trailer has been released for Girlfriend’s Day, an upcoming Netflix original movie from director Michael Paul Stephenson. 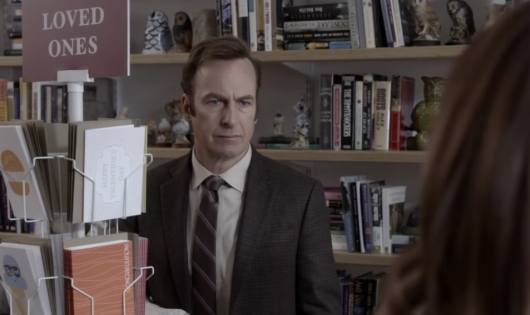 The movie stars Bob Odenkirk (Better Call Saul, Mr. Show) as a greeting card writer who finds himself in the middle of a nasty situation as people compete to pen the perfect card for a newly created holiday, Girlfriend’s Day. Odenkirk is joined by an impressive cast on the dark comedy, including Amber Tamblyn, Natasha Lyonne, Ed Begley Jr., Stacy Keach, Rich Sommer, June Diane Raphael, Andy Richter, Stephanie Courtney, Toby Huss, Stephen Michael Quezada, Derek Waters, Larry Fessenden, and Echo Kellum. You can read an official synopsis for the movie and watch the new trailer below.